ALLEGRA BOVERMAN/Staff photo. Gloucester Daily Times. 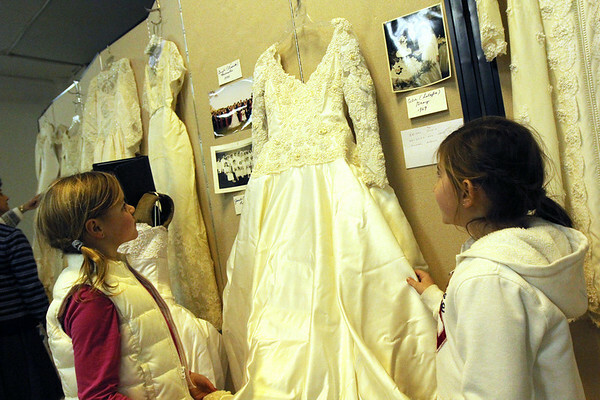 Gloucester: From left: Alli Smith, 9, and her best friend Lauren Movalli, 8, both of Gloucester, examine the wedding dress worn by Movalli's mother, Gayle Lucido Movalli at the Women's Guild of Holy Family Parish held a "Romance"- themed evening on Tuesday night at St. Ann Church.